One of the strongest brands we have in America is the flag. Red and white stripes. Fifty white stars against a blue field. Like so many in our country, I never get tired of seeing it. Of course, it means different things to different people, but in many respects, it represents the same things to most people. Freedom is probably the one idea that most readily comes to mind. Can you imagine what that flag looks like to the families awaiting the safe return of military men and women coming home from overseas? Or what a World War II veteran thinks about when he stands for the National Anthem and faces the stars and stripes at a baseball game? I read an article recently about a group of freshly naturalized U.S. citizens and in the accompanying photo, each with a smile on his or her face, proudly held a small red, white and blue flag. I wondered what that flag meant to them. A few years ago, I wrote a family history and not surprisingly, I learned that my ancestors were drawn to America for the freedom to live a life less restrictive than in the countries they left. America was and still is viewed as a land of opportunity, but that would not be possible without the freedoms we enjoy and that are guaranteed by our democratic system. These thoughts are all abstract unless you or someone you know put something on the line to protect our system of freedoms and democracy. Before I was born, my father and his brothers enlisted in the U.S. Army and Navy. They were deployed in locations around the world to face enemies in the Pacific and Europe. One uncle told me the story of how he was left for dead in what was later called the Battle of the Bulge. For three days he laid in the cold, hoping someone would help him. He wasn’t much for detail when he told his story, but it gave me the impression he went through quite a bit that winter. The flag meant something to him. During Viet Nam, I was too young to serve, but I remember the older boys in the neighborhood would often come back on leave, wearing their sharp Marine, Navy or Army uniforms. At that point, they were proud of who they were and what they represented. At first you’d see larger groups of them together at the corner store in their uniforms, laughing and joking and catching up. But after a while, the groups got smaller. I remember a more muted tone here and there when we’d find out that one of our neighborhood boys wasn’t coming home. As an altar boy, I served several funerals of vets and was always transfixed with the precise and ritualistic manner with which the flag was so reverently handled and presented to surviving family members. More recently, we all have had the opportunity to know and see our family members, friends and neighbors go off to places like Afghanistan and Iraq. And whether our experience is personal or if we just learn about it through old and new media, the sacrifices they make for our freedoms are all too real and all too current. 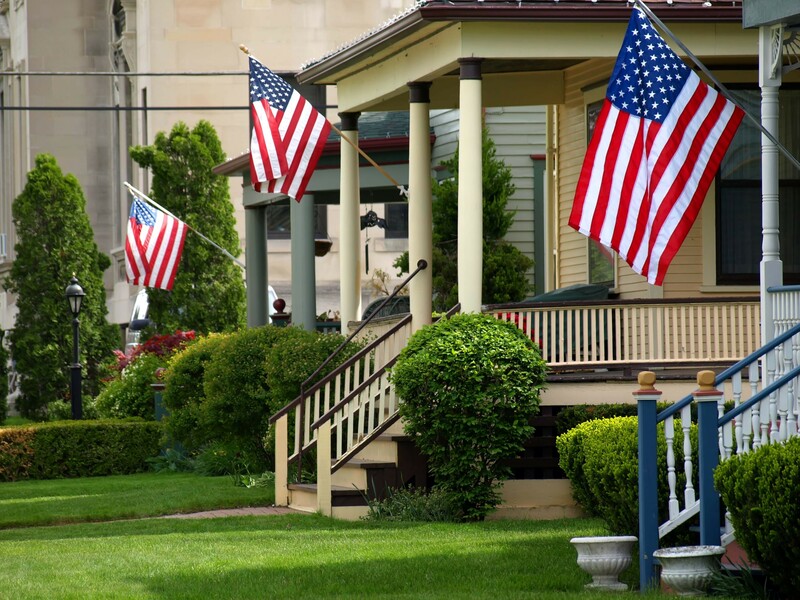 Memorial Day is commonly thought of as the first three-day weekend of summer and its unofficial kick-off. We celebrate with picnics and parades, usually. Another Memorial Day tradition for many is to visit a cemetery where a loved one is memorialized with fresh flowers, and if the loved one is a vet, a bright new U.S. flag. That’s a tradition I picked up just a few years ago when my own Army veteran father died. Yesterday, I visited his final resting place and that of so many other vets. A neatly trimmed field of red, white and blue flags. Not a sorrowful place on a weekend like this. A place of honor and respect where the flag reminds us of so many who served and who risked their lives to protect our American way of life. The flag is an iconic brand not because of what it looks like but because of what it represents to those willing to make the ultimate sacrifice for it. The act of remembering is why we call it Memorial Day. Can there be anything more powerful than that? The Rock and Roll Hall of Fame and Museum first opened in September 1995 in Downtown Cleveland, and it took me until just recently to make the two-and-a-half-hour drive to visit it. The visit was as much underwhelming as mesmerizing, which is why it may be worth looking at it from a public relations perspective. While some major renovations are planned for later this year, I’m not sure they will be the medicine the Hall of Fame may need. Let me explain. The building is a museum in the 1980s sense of the word, obviously conceived before the Internet, before smart phones, Google, YouTube, and of course, all social media. The elaborate and largely primitive displays have long been outdone by that smart phone in your pocket. The notion of standing at a kiosk to watch a bunch of dated documentary-style vignettes and use touch-screen to read factoids is dull. There has to be a better way to connect visitors to rock and roll. I can only imagine what a Disney Imagineer would think when he or she walks through this museum, or what one might do, if given the budget and resources, to change this place. I’m thinking interactive holograms, animation, experiential exhibits, surround screens and surround sound, and that’s just a start. No one should come away from this museum underwhelmed. The other notable omission was an actual “Hall” of Fame, where we can see something representing every inductee since the Hall of Fame was created. Roughly 60 miles to the south of the Rock and Roll Hall of Fame is the Pro Football Hall of Fame, where the busts of every NFL inductee sits in a room that has an almost church-like feel. 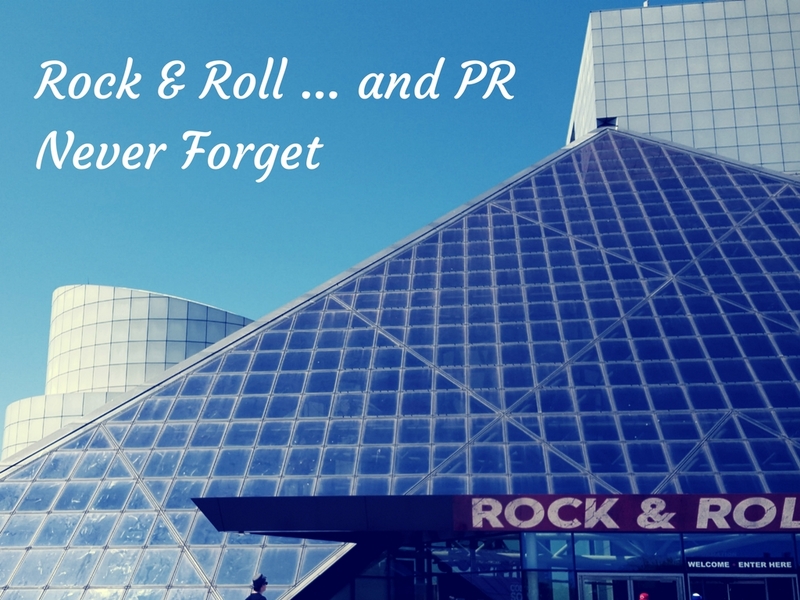 To be sure, we wouldn’t expect the same atmosphere at the Rock and Roll Hall of Fame, but in fairness to the inductees, there should be a place for visitors to note and reflect on what each and every inductee’s contribution to music has been. But enough of the critique. The power of this museum and why it is still worth the trip is what this museum has that no other place in the world has, and that’s the stuff. Regardless of which is your favorite music genre or no matter what your age, you will find at least one thing that just transfixes you and takes you back to a time in your life. It will make you wonder what life would have been like without this contribution to rock and roll. Not only for you, but maybe for our culture. For me, there were a couple of things. One was Johnny Cash’s desk, sitting humbly in the middle of a hallway, behind glass, yet no more than 18 inches from me. It looked and felt accessible. This was where the legend wrote, and presumably created some of his best work, and maybe made a few of his worst mistakes. It’s like it is just waiting for him to come back into the room in a few minutes. Or, there is the actual Mellotron organ, a very primitive synthesizer, the Beatles used to create that eerie sound on the Sergeant Pepper’s Lonely Hearts Club Band album and others. That sound has been imitated by others in many genres ever since. Just like Cash’s desk, the Mellotron sits simply under glass, in the middle of foot traffic, and maybe 12 inches or so from us. No fancy lights glorifying it. No ropes to keep us away. Just there, waiting to be played…again. I couldn’t help but think of the stories this thing could tell of Lennon and McCartney hovering over it, experimenting to bring their own musical vision to life. The simplicity IS the power of some of these exhibits. If there is a common thread throughout the Rock and Roll Hall of Fame – and I’m not sure this is intentional – it is how simple and primitive were the tools, the instruments, and the outfits that legendary performers used and wore as they created something entirely new to become cultural icons. This speaks completely to their own talents. It’s the theme of the Rock and Roll Hall of Fame. No matter what the time period or genre, Rock and Roll has always been about pushing the envelope, doing something that has not been done before. This hall is all about the innovators. The lesson for the rest of us is that it’s not about the tools, the “accepted” or traditional formula for success, the trappings, or the timing. Ultimately, the Rock and Roll Hall of Fame pays homage to those individuals who were compelled to be who they were regardless of what other people thought of their chances for success. It fittingly salutes those who put passion before pragmatism. And it shows us that no matter what your goal and your limited resources, if you have a dream and the right amount of creative drive, you can fulfill it. If most of these legends asked the public to tell them at the time what kind of music to create, there would never have been rock and roll. Sometimes, it has to start with you, the honesty that’s in your message, and your own understanding on how to use your medium to the fullest. 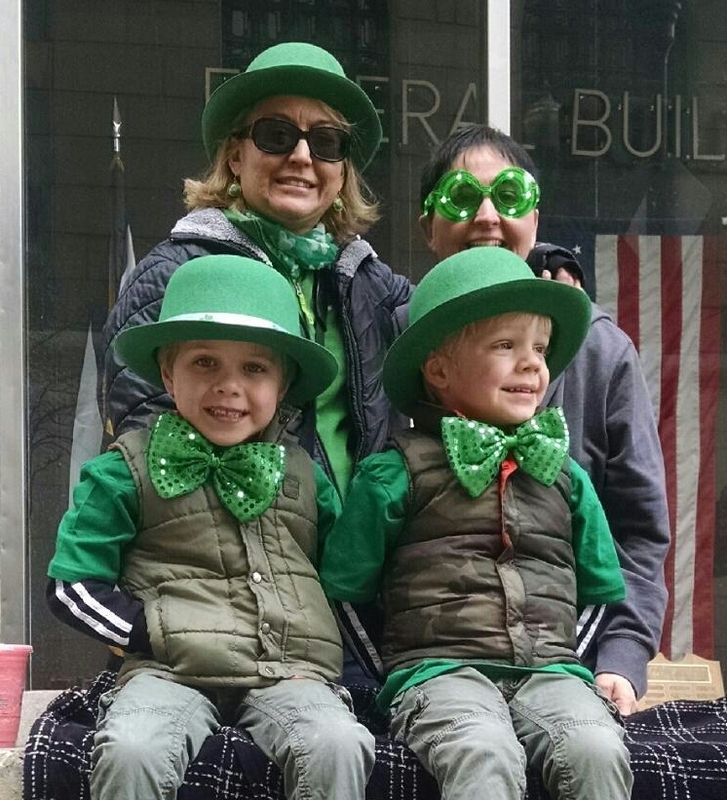 St. Patrick’s Day is this Friday, but for most Pittsburghers, like those in a few other cities, parade day this past Saturday was the big day. We always have our parade on the Saturday before or on the 17th. This year’s parade was as early in March as it gets. Next year’s parade will be on St. Patrick’s Day, the 17th. On the surface, the answer may center on a celebrity who will make a guest appearance one year. Maybe another year we’ll have a set of new bands, entertainers or Irish acts. Always new is the Grand Marshal or Miss Smiling Irish Eyes, each of whom usually has a very impressive and very Irish story to tell. Each of these stories can be news in their own right, but with all due respect, the focus on a particular parade participant can sometimes overlook what really draws upwards of 350,000 to Downtown on a seasonably warm March day. To be sure, this past Saturday was anything but seasonably warm. If I said it’s all about family and tradition, that may wash over you. You hear that all the time about other things. So, I’ll attempt to explain what appears to make every parade a new one for those who take part. Here is what was new this year. This year, little Katie and Sean are another year older, and they came to the parade with their mom and dad, who have come to the parade with their parents for decades. That was new. They looked for their aunts who marched with an LAOH Division, alongside their own aunts and cousins in their smart Irish sweaters and sashes. The kids danced more this year because they love music, and after the parade, they went to a party with their grandpap. Katie told her pap she wants to be Miss Smiling Irish Eyes someday and ride in a horse-drawn carriage. That was new. This year, another family spent a lot of time remembering someone who was their mother, grandmother, sister respectively, who they lost this past year. She never missed a parade, so they celebrated her memory on this parade day. On Saturday, a young couple searched and found a spot on the Boulevard of the Allies where she used to perch on her dad’s shoulder as a little girl with her own family. This is their first parade as a married couple, so they started a new Pittsburgh St. Patrick’s Day Parade tradition. A Pittsburgh firefighter marched alongside his 12-year old daughter. He and she sang Irish songs, and his feet never touched the ground. A bagpiper tested out his new hip for the 1.4 mile walk on Grant Street to the Boulevard of the Allies. He used a vision of this very parade as a focal point throughout his physical therapy journey. A radio reporter/producer who’s always been in the habit of covering the parade marched in the parade this year as a Civil War re-enactor. Now, multiply these everyday stories by the thousands. That’s what was new in the parade this year. Sure, this isn’t the stuff of viral social media stories and hashtags. You won’t find any of it trending on Twitter, but it is what brings people by the hundreds of thousands to Downtown Pittsburgh each March. These are the things that bind Pittsburghers and why this parade rivals those in cities much larger in size. In fairness, how can a news organization hook a story on that? Perhaps it’s the parade’s grand brevity fueled by these values. Pardon the Scottish reference, but think of the stage musical production Brigadoon. That’s a story of a charming little village that rises out of the mists every 100 years but only for a day. In Pittsburgh, this time every year, we leave our houses after a long and cold winter, wearing our green. On this one day, Pittsburgh becomes that village that rises out of the mists once a year to usher back outdoor life in the city we love. We do it in the name of celebrating our region’s Irish heritage. It is that and much more. Those of Irish descent and many who just want to be Irish for the day are ready to celebrate. And while that may not be “new” it never gets old. Are PR People Control Freaks? The question came to mind a few times over the years when I have worked on some seemingly inconsequential PR matters where some of the parties involved may have considered my attention to detail a pain in the … ahem … a bit much. To be sure, if you don’t work on PR matters every day you may come away thinking that PR pros can have a tendency to be control freaks. After all, it’s just public relations, right? In defense of my colleagues (and myself) I think some ‘splainin is needed. If you think your PR person may be over-thinking or over-reacting to something that may never even happen, it may be worth a closer look at what we all recognize as PR mistakes. 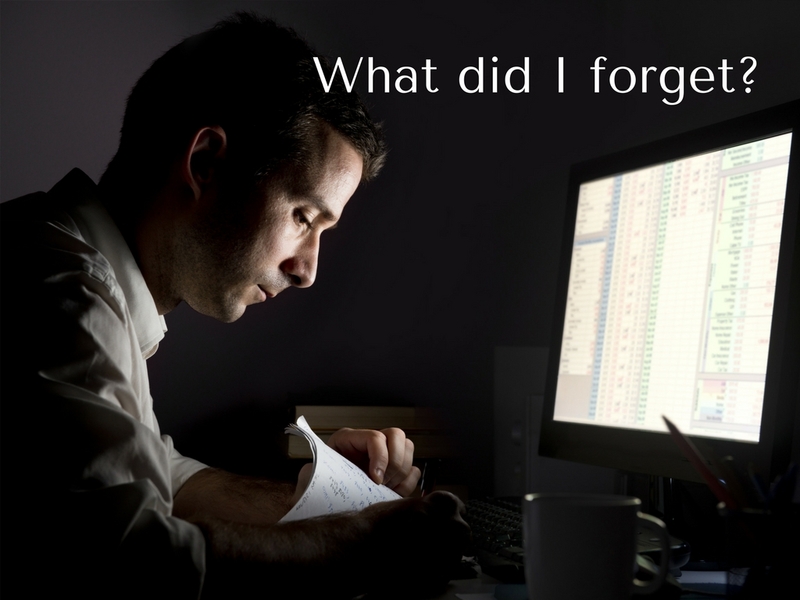 PR mistakes often make front page news, or the wrong kind of news, or sometimes no news at all. Sometimes PR mistakes lead to crises of leadership, reduced stock prices, employee defections, general embarrassments, or grandstanding opportunities for competitors and critics. And that just scratches the surface. To prevent such PR disasters, you probably want your PR person to be extremely mindful of what could go wrong, and what is required to go right. One of the first things we learn in public relations is that most everything is beyond our control. We can’t tell the media what to write or how to report. We can’t tell the public how to react to what our organization says or what we say. We can’t tell people to believe us and just expect it to happen. And no matter what we do to increase sales, calm the public, or clarify an issue, there are simply no guarantees of the outcome. So, it is the job of the PR professional to try to control what can be controlled on the theory that the more variables we do control, the less the chance that things will get out of control. That increases the chance that the outcome will go as well as can be expected. This takes an unbelievable amount of attention to detail, planning, planning and more planning. In the process, we think of what can go wrong and plan for that. We think of what can go right, and plan for that. We think of what can go wrong even when things go right. In other words, we plan for when everything goes exactly according to plan, but somehow the end result is misunderstood. All of this gets even more intense in crisis and issues management. I’ve had the good fortune to have seen a lot of PR efforts go right, and as a result I have become a big believer that in PR it’s not a bad thing to be considered a little excessive when it comes to control issues. With all of that in mind, here are a few misconceptions about PR “control freaks” that may need to be clarified. PR people think they can control everything – Not true. It’s more the opposite. We know better than anyone we cannot control everything, so we try to control what we can. PR people don’t like it when things don’t go their way – Yes, we don’t like it when things don’t go right, and we recognize that some of the biggest mistakes are made in the planning process, when certain possibilities aren’t taken seriously enough. It’s more about taking every detail seriously long before it becomes a factor in the outcome. You can’t let go – Not true. The fact is, most good PR people know that the time to let go is when you’ve thought of everything you could think of and done everything you could do. It’s at that point where it comes time to let go and let events happen. Most good PR people know then that even if things don’t work out perfectly, the thing to do then is to learn and move forward. Pittsburgh, PA, January 11, 2017 – Expertise.com has ranked O’Brien Communications one of the “Best PR Firms in Pittsburgh,” in its most recent rankings. According to the national web site, it reviewed 88 firms from throughout the Pittsburgh region and selected the top 14 for its rankings. Expertise.com bases its selections on a survey of the field to “find every business that provides service in the city, and to filter out any that fail to meet our definition of an expert.” After that, the site uses software to grade each business on 25 variables across five criteria that include: reputation, credibility, experience, availability, and professionalism. Founded by Tim O’Brien in 2001, Pittsburgh-based O’Brien Communications builds its client service with a focus on: Corporate Communications & Strategic Planning; Marketing Communications; Public Relations & Media Relations; Content Development & Professional Writing; Communications Coaching, and Crisis & Issues Management. Clients have ranged from Fortune 500 corporations to nonprofits and emerging start-ups. For more information, call 412.854.8845 or email timobrien@timobrienpr.com. Where do I start when writing a speech for my boss? Should I ask a newspaper to print a correction? This is the second installment in what’s becoming a series of responses to reader questions. The two questions selected for this blog are ones I’ve received over the years. Question #1: My CEO wants me to write a speech for him to give to an industry group. I’ve never written a speech before. Where do I start? Response: The best place to start is to have a meeting with your CEO if possible. At that meeting, come armed with as many questions as possible. In order to do that, you need to do your homework first. Find out when the speech will be, how long is it expected to take, who is the audience, the format (speech, keynote, panel, formal or informal, etc. ), if visual aids are expected or required, if your speaker likes to read from a script or note cards, and what guidelines the host has provided in terms of speech topics and themes. If other speakers will be at the event, find out who they are and what they will be speaking about. The more you know about the venue and the context, the more you can hone in on your approach. In your initial meeting with the CEO, work to determine what areas of focus should form the substance of the speech draft. Play the role of reporter, asking questions and posing scenarios to get the CEO’s input. It’s best to have a recorder with you so that you can gather the information most efficiently and better focus on covering all of your questions. Later on playback, you can study the speaking style and word choice that comes most naturally to the CEO. The next step is one not every speechwriter follows, but I do. I like to personally transcribe the recording from the meeting. It’s tedious work but for me it helps me truly immerse myself in the subject matter and better pick up on the tone and feel of the speech from the start. Usually by the time I’m done with this task, I have a feel for how I’d like to approach the speech creatively. Other tip is to study any videos of your CEO from other speeches. Next, start writing. Create an outline and develop that into a first draft. Don’t let the lack of certain details keep you from writing as complete a first draft as possible. Just bookmark spots where you think data, statistics, stories and anecdotes may better fill out and humanize the speech at that point. This is your “Swiss cheese draft,” which will not be ready for review until you’ve gone back and done the necessary research and thinking to fill in those holes. From there, you will need to go through an arduous editing process, until you are most comfortable with the feel of it. Keep in mind, you are writing for the ear and the eyes of the audience. Keep your words short, direct and active. Create visuals through active verbs and strong imagery. 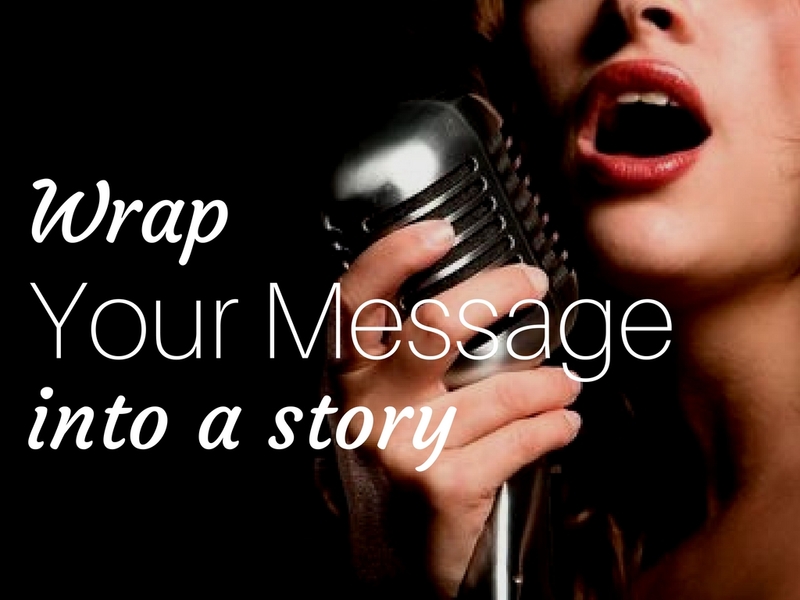 And above all, humanize the speech with stories the tie directly to the speech’s theme. That’s an overview. If you have any specific questions on this, feel free to let me know off line and I’ll be glad to respond. Question #2: A newspaper recently ran a story based on an interview one of their reporters did with a senior manager at our organization. The published story seemed to infer that a comparably sized competitor of ours is bigger than us. My boss wants me to request a correction in the newspaper. Will they run it? Response: Probably not, and even if they would, the correction itself is not likely to be seen by many of those who saw the original article, making little difference. At the same time, the one group of people who will notice this gesture are a few editors and reporters in the newsroom, who may react in different ways. One or two may respond the way your organization hopes and realize the story may not have been as accurate as it could be. But others may not react as constructively. Any time you interact with the media, the best approach is to think of the long term. Determine how “egregious” the immediate story may be, and then decide if it’s worth adding any tension to the relationship between your organization and the news organization involved. Just as we constantly work to build positive relationships with the media, some organizations have a tendency to undermine that when they become unnecessarily demanding or critical of certain news organizations. In cases where the error is truly damaging to the organization, such as alleging or implying unethical behavior on the part of senior management with no substantiation, then you may be obligated to demand corrective action from the news organization. But in this case, the nature of the offense does not seem to warrant spoiling the waters of your relationship with the news organization. If you have a question you’re like to discuss one-on-one or see addressed in this space, please get in touch. Do you remember the Kaufmann’s windows? It wasn’t that long ago that they in themselves were a destination for the holidays. This clip from WQED-TV features my wife, my kids an me when we were all a little younger. That’s us below. (We come in at 2:00). Have a great Holiday Season! Here are 6 holiday commercials you may not see on TV. Which one is your favorite? Allegro: What are you looking for at Christmas? 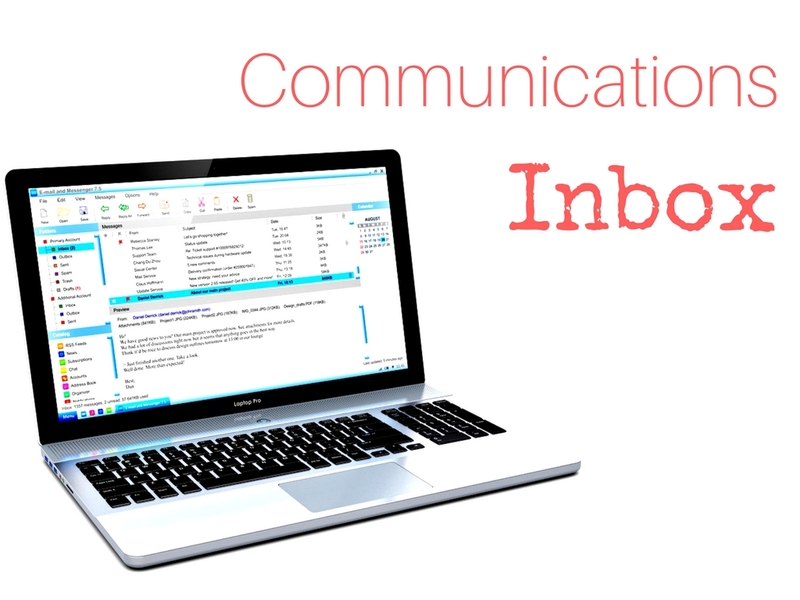 It doesn’t matter whether you have a presentation to deliver, an article to write, or a blog post to prepare, you have some pretty complex or technical information to convey and you’re just not sure how you’re going to connect. It could be anything. A new medical device. A legal or financial strategy. A component that enables your smart phone to work better. A chemical coating that protects your car’s paint from sun damage. To be sure, each one of these topics can be a cure for insomnia…if you let it. The simple answer is to tell a story. Tell an interesting story. Make it about people not data, or components or acronyms. Put the information in the context of how it helps the reader, the viewer, the site visitor – real people – at all times. One of my most memorable examples of this was when I was working for a tech company and we conducted a series of investor road shows. The first couple of times we did it, I watched the analysts nearly fall to sleep as senior management led off with a detailed tutorial on how the company’s technology worked and where it fit within the network. But when the CFO stood up to speak, delivering a set of dry but highly respectable numbers, the analysts perked up, some even sitting on the edge of their seats. The order of things seemed to be the problem. So, counterintuitively, I suggested we change things up. Let’s lead with the numbers and then explain what they mean, rather than the more common approach which was to give background before showing the numbers. It worked. The management team would talk about impressive sales figures, earnings per share, and the kind of cash reserves that allowed for potential growth through mergers and acquisitions. In doing this, both the CFO and CEO grabbed the attention of the audience and planted the right questions in the minds of the attendees. Can the company keep this performance up? What will they do with their cash reserves? Will they try to grow organically or through M&A? The rest of the presentation was the story – the context – of how the company could deliver results, what its strategy for the future would be, and above all, what it all meant to shareholders. In the end, the company’s story was not really about the company at all, but about what the company’s performance meant to people. If you have some technical information to relate and you don’t know where to start, begin with the people behind the new development or advancements. Who are they? Why did they see a problem? What inspired them? What made their journey to a solution so innovative or interesting? Find out more about the people to be impacted by the innovation or new technology. Who are they? Why will they benefit? How will they benefit? Will this change their lives in any way? The answers to these questions can help turn technical information into understanding. It can help your targeted audiences relate. Your challenge is to put it all into an order that provide a cohesive narrative, one that takes the story from its beginning to its end, starting with the problem or challenge as it manifests itself in human terms. Then describe the process towards the solution. This is the story that will open your audience’s eyes to the possibilities. It’s that time of year when you get together with your family and catch up. You can smell the turkey cooking in the oven, the fireplace is roaring, and the football games are on the television. We’ve all been there. Our families often hear us use words like “public relations,” “marketing,” “communications,” or other terms like “social media,” “digital,” and “integrated.” They want to show an interest. Maybe more accurately, they want to be interested. Your mother may even produce the business card you gave her two employers ago to show you she’s always thinking of you. Now it’s your turn. What do you say this time? How can you make it clear once and for all what you actually do for a living? Are you happy in your work? Is it rewarding? Is the stress of work having an effect on you? Do you have time to enjoy life? Is there a future at your current employer or in your field? Is there a chance you could be laid off? So, when you get the inevitable question, don’t plunge into a description of tasks you do at work. Don’t use jargon like “digital content” or “market share.” Don’t drop the names of famous people or well-known brands and companies you may cross paths with through your work. All of that is a big turnoff and likely to get people to turn the sound down in their minds when your lips are moving. “I love my work. Every day I’m always doing something new and meeting new people. I like the people I work with. I work with the media, and develop my skills with technology and writing talents. It’s very rewarding. I work hard but have great friends and coworkers. We do things away from work together. I’m taking an art class just for fun, and I joined a gym to stay healthy and fresh. I feel really great and have learned how to balance work and life. OK, I know. Some or all of that may not be true for you. But the point here is at the very least to know the questions behind the question and to answer those questions honestly and sincerely. Also, I realize that this still does not get at how the field of PR works. Trust me. I’m a veteran of many Thanksgivings. Unless you want to clear the dinner table so you can conduct an impromptu Powerpoint presentation on the history of PR, starting with Edward Bernays, I’ve got another idea. 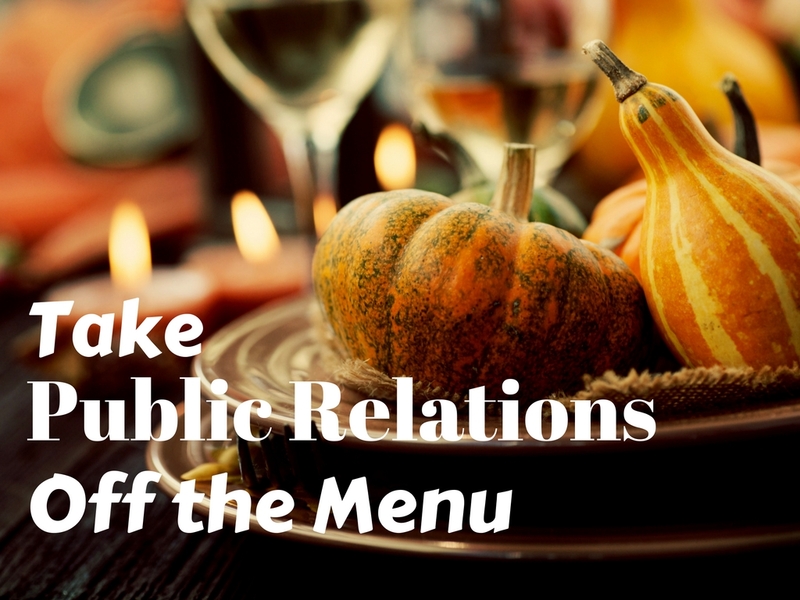 When someone asks you, “What is PR?,” just say, “Pass the stuffing, please.” Works every time. As always, if you’d like to talk PR with someone who knows how it works, please let me know. I’d be happy to talk turkey. Have a Happy Thanksgiving!